To me, it seems you make something completely different each time. Where do you get the inspiration? But talking to you today gave me a strong feeling that that’s just the way you are. And that includes how you make games by reflecting on your experiences as you make decisions, and how that process continues to grow. I get help from luck. I really am blessed by the people and environment around me. Even after that problem with Resident Evil 2, I struggled with Viewtiful Joe and Okami29, and spent a lot of time on trial and error. I only found the correct answers because of that environment.29. Okami: An action-adventure game released in Japan by Capcom in April 2006 and in Europe in February 2007. At the time, Kamiya-san was involved in development as a director at Capcom’s subsidiary Clover Studio Co., Ltd. The Wii version was released in Europe in June 2008. Yes. For example, at the beginning of developing Okami, we were using realistic graphics. I was born in Nagano Prefecture, so I wanted to make a refreshing game that soothes the soul. But if you set it in the vast outdoors, you want to run through it, right? Then you need massive stages and the density of content inevitably thins out. Just then, one of the staff members drew the design for Amaterasu30, the main character, in a Japanese ink-wash style with a brush-like effect. When I saw that, it struck me as a fitting approach to do it all in the style of Japanese art.30. Amaterasu: The main character of Okami. Amaterasu is the goddess of the sun who takes the form of a white wolf. That idea came at just the right time. Representing nature in a Japanese style was unusual, so it was very refreshing. Then I told (Atsushi) Inaba-san31, the producer, that I wanted to drastically change it, and then I took the plunge and did it. But after that, I still couldn’t decide what kind of game I wanted it to be.31. 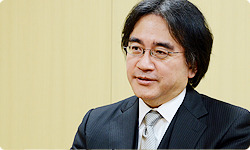 Atsushi Inaba: Producer, PlatinumGames Inc. 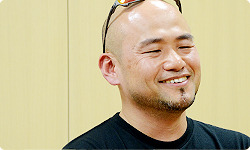 He produced The Wonderful 101, having become a producer after joining Capcom as a programmer. At Clover Studio while Okami was in development, Inaba-san was president and CEO. The visual direction had come together, but that alone doesn’t make a game. Partway through, it was like a simulation, so we were putting in elements like making fields and roads and building houses, but it wasn’t fun at all. Day after day passed and I was still wondering what it was supposed to be. That process is like the one Animal Crossing32 went through. We wandered around with Animal Crossing quite a lot, with a ton of trial and error, before it reached its current form.32. Animal Crossing: A communication game released in Japan for the Nintendo 64 system in April 2001. The game was later released on Nintendo GameCube in Europe in September 2004. It was just like that for us, too! (laughs) Then one day, unable to watch any more, Inaba-san blew up and said, “What are you going to do about this game? !” Of course, we’d been thinking about it up until then, but it had stalled. That was just before a three-day weekend, so about ten core staff members got together and concentrated on it during the break. Sort of a mini work retreat. Right. The atmosphere in the meeting room was horrible the first day. Absolutely no good ideas came up. Times like that can be pretty dark. Exactly what was worrying you? The first promotion video we made showed the main character, Amaterasu, running across a field while plants and trees sprouted up all around. We had a dynamic, dream-inspiring game in mind. At root was the idea of Amaterasu as a wolf, and as a goddess, but we had trouble figuring out what a goddess should be able to do. It changed on the second day. Someone suddenly said, “A goddess can do anything,” and that made perfect sense. You’re worried, so you keep adding stuff. But good ones are short, conveying the core of the game. That’s right. Even without unnecessary explanations, a game will naturally unfold around its core. On the third day, we were packing in content based on the plan, and when I explained it to the team at the beginning of the week, everyone’s face brightened. Finally, I was certain it would be fun, and we made Okami into the game it is today. Thanks to Inaba-san losing his cool. (laughs) Inaba-san yelled at us to get it together for Viewtiful Joe, too. Everyone got together at the weekend to think it over, and the system of VFX Powers33 was born as a result.33. VFX Powers: Abilities that allow players to perform actions manipulating space and time. Really? That’s how those came about?! But the VFX Powers are the core of the game! Yeah, but they didn’t exist until then. My games tend to go that way, so the core isn’t in the plan from the start. We make the game with luck and inspiration, and if we work hard, at some point the god of video games descends upon us. Hmm… But the god of video games only shows up on weekends at the last minute. Yeah! (laughs) I really should start thinking earlier on. But I do think you have an impressive ability to receive inspiration and not let what you’ve found go at just the crucial time. That may be so if you put it in a positive way. Slow34 in Viewtiful Joe was just like that. A programmer who just happened to be sitting next to me was checking motions and moving Joe in slow motion.34. Slow: A VFX Power in Viewtiful Joe. Everything on the screen slows down, allowing the player to blow away the enemy under certain conditions. Slow happened because I was like “Hey! What’re you doing?! That’s cool!” and made him let me do it. I knew it. You’re good at seizing on important triggers in your surrounding circumstances. Well, that’s because they don’t come from inside my own head! (laughs) I guess that means The Wonderful 101 was rare in that we polished it up relatively similar to the original proposal. Yes. (laughs) While we may have only scratched the surface, thanks to our one-on-one discussion today, I have a good idea of your experiences leading up to this point. It was very interesting. 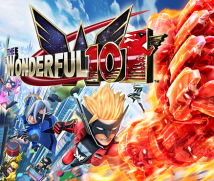 I want to ask all about The Wonderful 101 in the second part. Thank you very much.